Striking a pedestrian while driving an automobile is a frightening incident, yet not uncommon. According to statistics compiled by the National Highway Traffic Safety Administration, over 72,000 pedestrians were hurt in motor vehicle traffic accidents in 2012. Striking a pedestrian at a speed of over 30 miles per hour causes a lot more significant injuries as well as fatalities yet a driver could drastically disable a pedestrian in an accident where the vehicle driver is traveling just 10 miles per hour. As a motorist, it's essential to know just what to do immediately after a car accident with a pedestrian. By remaining coherent and speaking to the appropriate parties, you can minimize your liability. Drivers must additionally understand the fundamental legal facts of accident injury fault, how injuries and damages will be compensated, and most importantly, how to avoid such accidents in the first place. 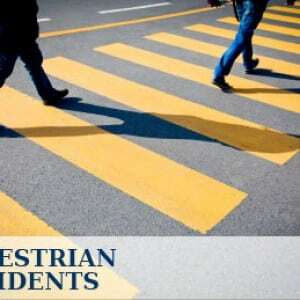 Often, pedestrian motor vehicle auto accident court cases depend upon the responsibility of care and attention owed simply by the ones affected. The two motorists as well as individuals are required to follow the guidelines from the highway and use sensible care and attention. Oftentimes, it might appear clear who has been careless, however the legal courts investigate several variables in utilizing the details with the negligent fault factors. An individual who carelessly operates an automobile could be required to pay for injuries with regards to individual and damage to property due to recklessness. Fault - who's to blame for that accident is the initial thing any pedestrian must take into account whenever figuring out whether or not to submit legal action right after being hit by a motor vehicle. Did the motor vehicle operator run a traffic signal? The motor vehicle driver exceeding the speed limit? Was the driver intoxicated at all? Did the pedestrian wander out right into oncoming or regular traffic? 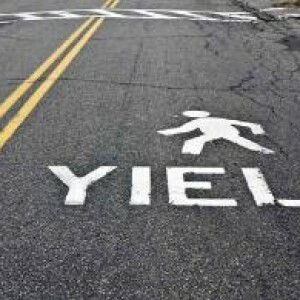 Could either the motorist or individual pedestrian have prevented the accident? In many states, any pedestrian could only collect within a legal action versus a motorist once the auto accident is at the very least in some measure the driver’s negligence. In the event the pedestrian actually wandered out directly into vehicle traffic when text messaging where there was absolutely nothing the motorist could possibly do to prevent impact, it's extremely unlikely the pedestrian could be successful within a personal injury lawsuit. Although the majority of pedestrian injuries happen at the key point of effect, others occur secondarily. Secondary injuries occur when the force of the impact thrusts the pedestrian into one more strong item. 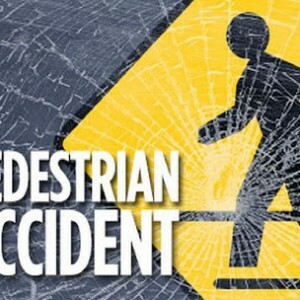 As an example, the preliminary impact broke the pedestrian's leg, yet the force of the impact flung him against a wall surface and also fractured his skull. Like all other injury claims, pedestrian injury claims require very good and detailed evidence. If a vehicle strikes and harms or injures you, obtain the driver's name and also address information. You need the drivers insurance coverage information as well. If your injuries are too severe for you to obtain the info, ask police police officer, or medical response team or anyone who may help to obtain it for you. Contact the vehicle driver's insurance company, report the accident, and also file your claim. Contact your insurance policy company to report the accident, also. The next action is showing the driver's activities were definitely negligent and also as a result caused the accident leading to your injuries. Without evidence, your claim will fail. Were there existing intervening forces, and if so, do they alleviate both or one of us from fault or negligence? Were the driver's actions the direct source of your injuries? Was the driver negligent? Did the motorist by fault drive right into you, or did you accidently walk into the driver's pathway? Are there witnesses in your case who saw exactly who was at fault? In need of a professional pedestrian car accident lawyer, contact our law offices at 1-909-325-6032 and speak directly with Alexander D. Napolin today. 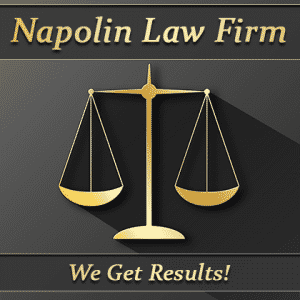 The Napolin law Firm is one of the best personal injury law firms in the Southern California area. Don't hesitate to get the facts about your case and know the steps you can take by contacting the Napolin law Firm today.